Insomnia is an epidemic in the US. Neurofeedback (NFB) is a little used, psychophysiological treatment with demonstrated usefulness for treating insomnia. Our objective was to assess whether two distinct Z-Score NFB protocols, a modified sensorimotor (SMR) protocol and a sequential, quantitative EEG (sQEEG)-guided, individually designed (IND) protocol, would alleviate sleep and associated daytime dysfunctions of participants with insomnia. Both protocols used instantaneous Z scores to determine reward condition administered when awake. Twelve adults with insomnia, free of other mental and uncontrolled physical illnesses, were randomly assigned to the SMR or IND group. Eight completed this randomized, parallel group, single-blind study. Both groups received fifteen 20-min sessions of Z-Score NFB. Pre-post assessments included sQEEG, mental health, quality of life, and insomnia status. ANOVA yielded significant post-treatment improvement for the combined group on all primary insomnia scores: Insomnia Severity Index (ISI p < .005), Pittsburgh Sleep Quality Inventory (PSQI p < .0001), PSQI Sleep Efficiency (p < .007), and Quality of Life Inventory (p < .02). Binomial tests of baseline EEGs indicated a significant proportion of excessively high levels of Delta and Beta power (p < .001) which were lowered post-treatment (paired z-tests p < .001). Baseline EEGs showed excessive sleepiness and hyperarousal, which improved post-treatment. Both Z-Score NFB groups improved in sleep and daytime functioning. Post-treatment, all participants were normal sleepers. Because there were no significant differences in the findings between the two groups, our future large scale studies will utilize the less burdensome to administer Z-Score SMR protocol. 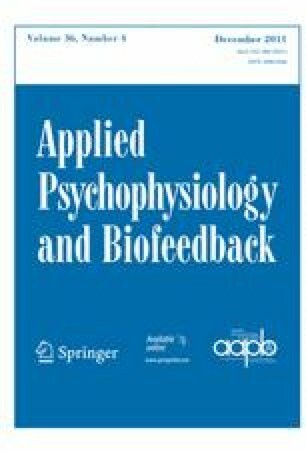 A summary of this research was presented at the 2010 Association for Applied Psychophysiology and Biofeedback Annual Meeting 3/24/2010–3/27/2010. The authors are grateful to the Helfgott Research Institute of the National College of Natural Medicine in Portland, Oregon for its generous support of this research. We especially appreciate the assistance of William L. Gregory and Heather Jaskirat Wild on the statistical analyses, Mark L. Smith and Nancy Wigton on the design of the neurofeedback protocols, and the generous support of our research assistants, Sean E. Griffith and Tineke Malus. In addition, we thank all participants in this study, including those who took the time to complete the telephone screening and the extended screening sessions but who were not offered the opportunity to participate and receive treatment. None of the authors has any financial conflicts of interest. American Academy of Sleep Medicine (2009, October 1). Elderly women sleep better than they think, men sleep worse. ScienceDaily. Retrieved December 18, 2009, from http://www.sciencedaily.com/releases/2009/10/091001081207.htm. Demos, J. N. (2006). DCN-128 (V. 1.0) [Computer Software] Brattleboro, VT: EEG Vermont. Retrieved from http://eegvermont.com/. National Sleep Foundation. (2009). Sleep in America poll, summary of findings. Retrieved from www.sleepfoundation.org. Thatcher, R. (2009). NeuroGuide (2.5.9) [Computer software]. St. Petersburg, FL: Applied Neuroscience, Inc. Retrieved from http://www.appliedneuroscience.com/.